I ran out of gas, I didn't know what to do I came across from these guys, I called them and although it did take a little long for them to get there, I was so pleased and thankful, they are not only great but very affordable. I do recommend this service. My tire pop and I didn't have a spare. I was so afraid to spend a lot of money to get my Silverado tow to a tire shop. But Spark Towing gave a very affordable price and also great service. I cannot be more happy. I highly recommend them. Lost my car keys in the beach. I needed a tow and this place gave a perfect arrival time and cool prices. They came at no time. Nice people and great service. I was stuck on the 91 W. I called for a towing service. Joel came very fast he was professional and friendly. 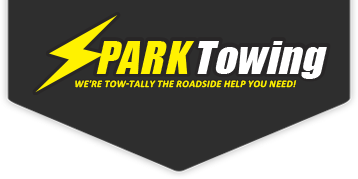 Call Spark Towing - they are the best! My car broke down on my way to school. I honestly didn't have a lot of money. I called this place and they work with my budget. I want to recommend them. Very nice people.